Our Cincinnati based law firm is exclusively devoted to family law. Jenny Namanworth Smith has years of experience and in-depth knowledge of the law which enables her to provide effective legal representation in connection with family law matters including child custody and visitation, child support, divorce, dissolution, alimony and spousal support, grandparent's rights, juvenile court - custody related, post-decree modifications, and step parent adoptions. 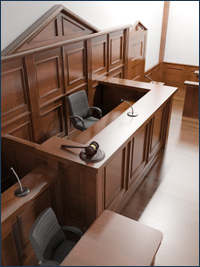 In some cases, Attorney Smith may recommend hiring an expert to evaluate and provide a substantive opinion and/or testimony. These legal experts may include doctors, psychologists, counselors, social workers, vocational experts, forensic accountants and appraisers to meet the specific needs of your case. Jenny Namanworth Smith understands just how stressful and emotional these family matters are, and she focuses on helping you reach a settlement that is in your best interest. Call attorney Jenny Namanworth Smith at (513) 533-4567 for legal guidance, in depth legal advice and help. Jenny Namanworth Smith represents clients throughout Cincinnati including Hamilton County, Clermont County, Warren County and Butler County in Southwest Ohio.